Nitin Kakkar's Notebook has unfolded the endearing chemistry between Zaheer Iqbal and the children with a short video, capturing the funny moments from the film. Promising an ear to ear smile, the captivating video invokes love for kids all over again owing to the innocence and sweetness of the young artists. "Their funny moments, will put a smile on your face! #Notebook,” read a post on the official Twitter handle of Salman Khan Films. Earlier, the makers shared a video that provided a glimpse of the making of the song Bumro, which is a visual treat with the adorable innocence and playful equation between Zaheer and the kids. Notebook has been shot in the exquisite valleys of Kashmir bringing the authentic love story of two lovers Firdaus and Kabir, along with a strong supporting cast with the child artists, who play a vital role in the story. Salman Khan recently unveiled the most awaited song Main Taare from Notebook which is not only sung by him but also features the Zaheer and Pranutan. Notebook takes the audience on a romantic journey back in time set in the backdrop of Kashmir, raising the question, can you fall in love with someone you never met? 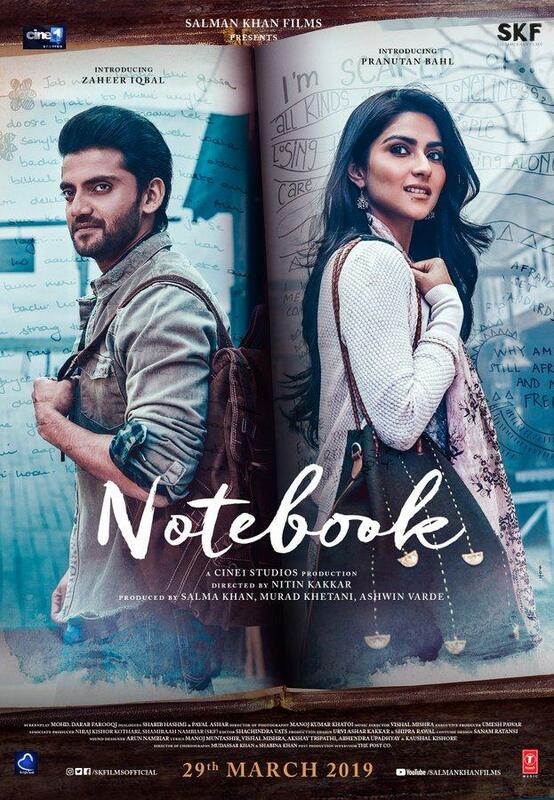 Helmed by Nitin Kakkar, Notebook is presented by Salman Khan Films and is a Cine1 Studios Production. It is produced by Salma Khan, Murad Khetani and Ashwin Varde and is all set to hit the screens on March 29.